Home Technology Tech Reviews 12″ Macbook: The Future of Laptops? Apple’s controversial 12″ Macbook laptop is not a product I would recommend to most people. It costs $1300+, has a weak processor, a 480p camera, and relatively large bezels. However, I believe it is the start of a blueprint for what many laptops will look like in 5 years. The design of the laptop is basically focused on the typical use case. Most people don’t use their laptops for Adobe Premiere and Photoshop (or even for big-budget games). They use it for MS Office, streaming, messaging and web browsing. For a laptop, portability is a very important quality and at 2 lbs, this Macbook is one of the lightest. When held in the hand, it literally feels as light as a notebook and can be fit into any backpack. The battery life is above average, especially considering the thin-ness. The screen has 1440p resolution and IPS panel, making it ideal for viewing content. The speakers sound very rich for a laptop (even moreso a tiny one); the crux here is that not having to carry around headphones to enjoy good audio quality further improves the portability. The trackpad and keyboard will take time to get used to. The butterfly switch keyboard takes time to get used to but it allows for quick effortless presses and has a satisfying crunch to it. Another topic of controversy is the overall absence of ports, which I also think is a step toward the future. Clouds offer storage options. More peripherals are used via bluetooth. Wifi speeds will get fast enough to the point where most people won’t need ethernet (and people can use it to display their image onto another screen without an HDMI cable). Apple moving toward a wireless ecosystem is a smart move because a laptop is not truly portable if people have to carry a bunch of wires, cables, and storage drives with them. 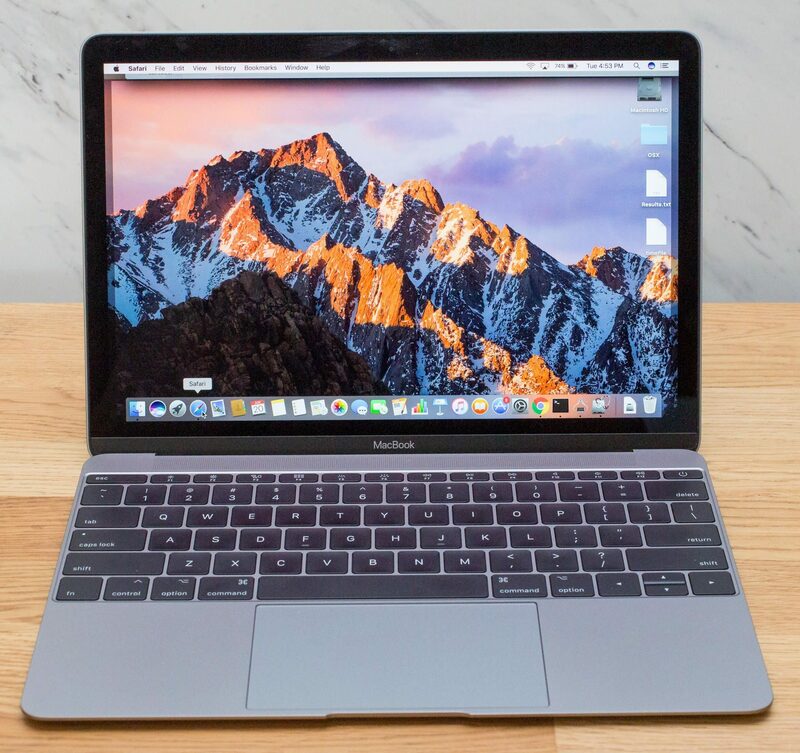 Apple is also taking a bet on the fact that laptops will essentially become tablets with keyboards, as the Macbook is equipped with a tablet-like processor. Hopefully, companies like Asus will make ultra-portable productivity/leisure laptops like the 12″ Macbook, but at a more affordable price and with some advancements toward Intel’s M processors to the point where they don’t feel sluggish for moderate daily tasks.